Many of us are looking forward to our beach holidays this summer, but who wants to be the only white bird on the beach? who wants to stick out like a sore thumb? This is where self tan comes in so handy, There are many different ones for you to try. 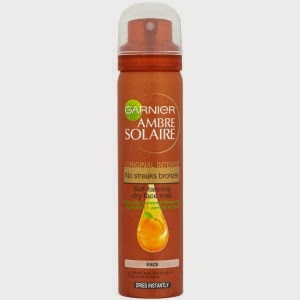 If you want a sunkissed look then try something like Garnier Ambre Solaire no streaks bronzer. 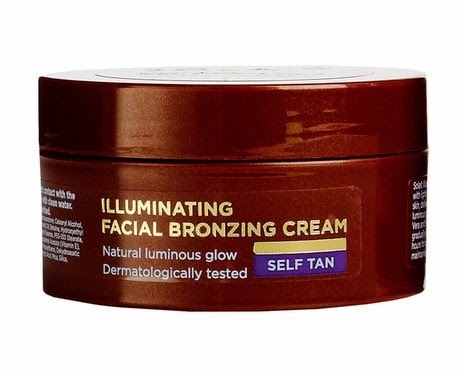 Its enriched with moisturising apricot extract and vitamin E. This face tan is especially designed for a fresh-off-the-beach look, and the best thing is that it lasts a week! For a long lasting tan, then go for L'Oreal Paris Sublime bronze self tan concentrate fluid. All you need to do is apply one application every day for three consecutive days and you will get a golden tan that lasts for 2 weeks. For an Illuminating look on your face, that will make you look radiant and healthy then try Superdrug Solait illuminating facial bronzer. This product contains light reflecting particles and it glides onto the skin, giving you instant radiance. Its ideal for maintaining a year long tan on your face.